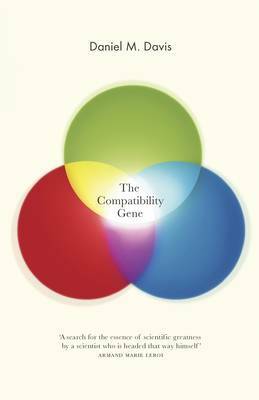 The Compatibility Gene is a scientific adventure story set in a new field of genetic discovery - that of the crucial genes that define our relationships, our health and our individuality. Here, Daniel M Davis, one of the leading scientists in the field, tells us the story of its grounbreaking developments that have the potential to change us allWe each possess a similar set of around 25,000 human genes. Yet a tiny, distinctive cluster of these genes plays a disproportionately large part in how our bodies work. These few genes, argues Daniel M. Davis, hold the key to who we are as individuals and our relationship to the world: how we combat disease, how our brains are wired, how attractive we are, even how likely we are to reproduce.In The Compatibility Gene, one of our foremost immunologists tells the remarkable history of these genes' discovery and the unlocking of their secrets. From the British scientific pioneers who, during the Second World War, struggled to understand the mysteries of transplants and grafts, to the Swiss zoologist who devised an entirely new method of assessing potential couples' compatibility based on the smell of worn T-shirts, Davis traces what is nothing less than a scientific revolution in our understanding of the human body: a global adventure spanning some sixty years.Davis shows how the compatibility gene is radically transforming our knowledge of the way our bodies work - and is having profound consequences for medical research and ethics. Looking to the future, he considers the startling possibilities of what these wondrous discoveries might mean for you and me.Who am I? What makes me different from everyone else? Daniel Davis recounts the remarkable science that has answered one version of these questions. 'He makes immunology as fascinating to popular science readers as cosmology, consciousness, and evolution'Steven Pinker, Johnstone Professor of Psychology, Harvard University, and the author of How the Mind Works and The Better Angels of Our Nature'There aren't many stories of scientific endeavour that have never been told. This is one of them. Ostensibly about a set of genes that we all have and need, this book is really about the men and women who discovered them and worked out what they do. It's about brilliant insights and lucky guesses; the glory of being proved right and the paralysing fear of getting it wrong; the passion for cures and the lust for Nobels. It's a search for the essence of scientific greatness by a scientist who is headed that way himself'Armand Marie Leroi, author of Mutants'Genes help make us what we are, but in the often overstated claims of what DNA can actually say one crucial section of the double helix has largely been ignored. This book fills that gap. The genes behind our system of diversity code for the clues that control tissue transplants, responses to infection and even sexual success. They are complex indeed but the Compatibility Gene cuts through the complexity to reveal the startling truth about perhaps the most important section of the molecule that defines what it means to be human'Steve Jones, author of Almost Like A Whale'Davis weaves a warm biographical thread through his tale of scientific discovery, revealing the drive and passion of those in the vanguard of research ... unusual results, astonishing implications and ethical dilemmas'The Times'Davis makes the twists and turns all count'Guardian'Davis ranges energetically through the research. Cultural references and anecdotes abound'Nature'A fascinating, expertly told story'Michael Brooks, New Statesman'The genes that make you a true individual ... Davis provides a well-written and easy-to-read account of the sometimes complicated biology behind the crucial genes that affect our lives so profoundly'New Scientist'Wonderful pen-portraits of the many scientists involved in this fast-moving field ... 5 out of 5 stars' Henry Gee, BBC Focus magazine'Dr. 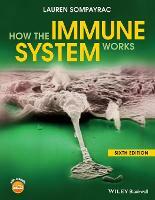 Davis's readable and informative book takes the reader into unexpectedly interesting corners of both the immune system and the lives of immunologists. It is packed with an insider's knowledge - not just of the field, but of where its bodies are buried' Nicholas Wade, New York TimesDaniel M. Davis is director of research at the University of Manchester's Collaborative Centre for Inflammation Research and a visiting professor at Imperial College, London. He has published over 100 academic papers, including papers in Nature and Science, andScientific American, and lectures all over the world, including at the Royal Institution. He has previously won the Oxford University Press Science Writing Prize, and has given numerous interviews for national and international media, including the Times, Guardian,Metro, and National Public Radio (USA). A major feature on his research was published in The Times. Experiments filmed in his laboratory were shown in the BBC series 'The History of Medicine' (2008). He also keenly engages in broad scientific affairs, recently publishing a view on UK science funding policies in Nature.